Efficient digestion is one of the most important keys to great health. 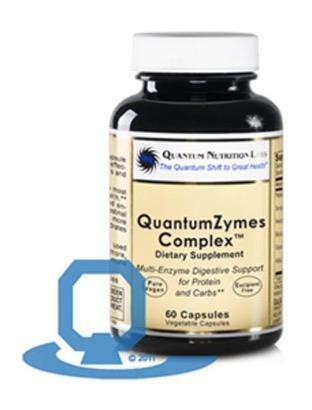 This extraordinary plant-based enzyme formula supports the digestion of protein and carbohydrates. This formula is suitable for everyone, including vegetarians, vegans and those who are gluten-intolerant. 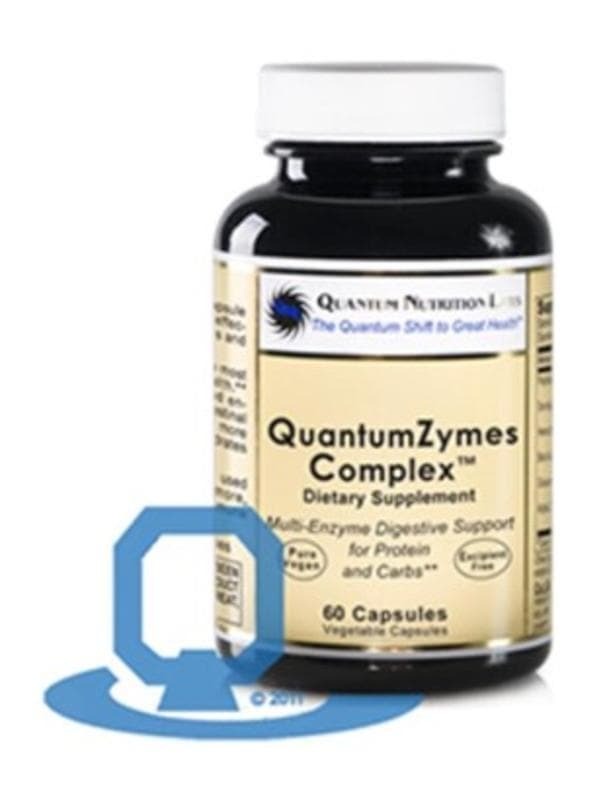 In fact, for those who are gluten-intolerant and who eat out at restaurants, QuantumZymes Complex is an excellent formula to take after each restaurant meal (which may have hidden gluten in certain foods). Take 1 capsule with each meal daily. Especially effective when taken with cooked meals and when used with Quantum Digest. Stabilized rice bran, vegetable cellulose capsule, 1hemoglobin unit, 2serratiopeptidase unit, 3hemicellulase unit, 4beta glucanase unit, 5amyloglucosidase activity unit, 6galactosidase unit.